Constructing Kansas City is a construction company operating in the Kansas City metro area. They wanted to have a website design that would showcase the quality of the work that they do, while at the same time being easy to administrate and add content to. After discussing what their specific needs were, I created a website design built on WordPress, so that they could manage and control nearly every aspect of the website in an easy to use interface. The website design was created to showcase their three primary services on the homepage, with buttons and an image slider. Changing out the image slider images has created a new and fresh feel to the website every time they change it. It is a wonderful place to showcase their most recent work. 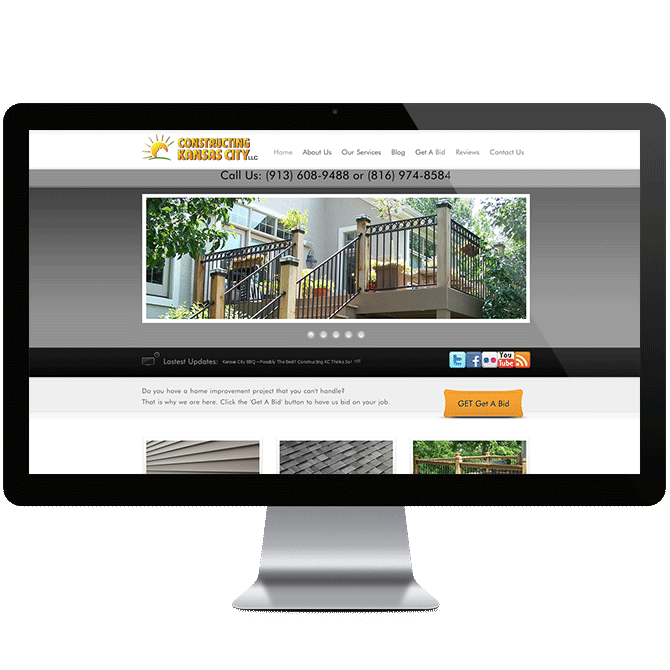 Another important aspect of the design was to have requesting a quote always being one click away. The request a quote works off of a WordPress Contact Form 7 plugin and sends an email to Constructing Kansas City as soon as someone requests a quote. The number of quote and the conversion rate of the quotes went up significantly with the new website design.